For Artemis Art, photography has become one of our key areas of focus over the years. We continue this with our next exhibition, Suspending Light Within Photography, featuring recent works by four photographers. The four photographers featured in this group exhibition are Hilda Vandermeulen, Alan Dougans, Brett Shields, and Fai Suk Kow. Covering primarily human interest, landscape, and nature genres, the photography works exhibited as a whole are diverse in terms of subject matter, aided with the diversity of the photographers themselves. Each of the four is fairly well-traveled, and while Malaysian will certainly be a part of the exhibition, the imagery exhibited will have an international feel overall. All works shown by the four photographers in the exhibition will be made available for sale as limited edition prints. The exhibition is open to the public, and there is no admission charge. 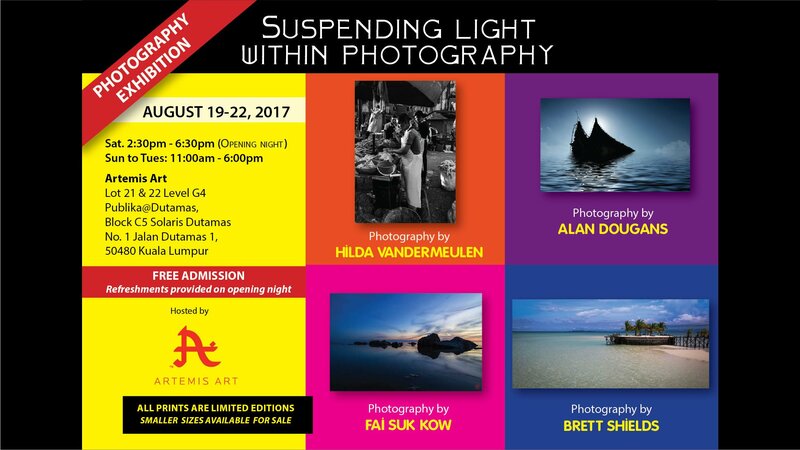 Suspending Light Within Photography begins with an opening reception on Saturday August 19, 2017 at 2:30pm, and will continue until Tuesday, August 22. Hilda is a retired medical care worker who currently resides in Malaysia. She started photography while living and working in the Middle East, where she was for a number of years. “[D]oing street photography in Riyadh was prohibited so I did a lot of ducking and hiding to obtain them. Nonetheless now that I’m in Malaysia it’s absolutely delightful for me to continue my passion of photography and to meet the people I obtained in the photos. I feel that my background has helped considerably to gain insightful and fondness for these individuals. Alan hails from Glasgow, Scotland and started work in the oil & gas industry back in the 70’s. Working in this industry has meant traveling the world and home is now Perth, Western Australia. He currently lives and works in Kuala Lumpur. Alan takes his photography to another level that becomes more artwork than simple image capture; he describes it as “imagineering”. He comes from a diverse and esoteric background of music, photography and digital arts with his father being a successful pro-am photographer and artist as well as engineer and his younger brother being an acknowledged and pioneering electronic musician. 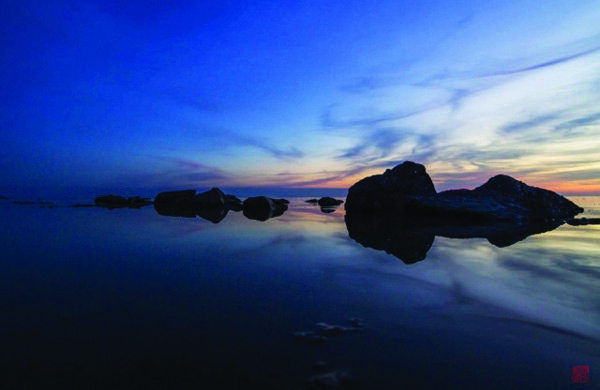 Alan still works in management of oilfield development and plans to eventually pursue image creation as a full-time career having already had one book published, working on a second, has had several images used as album covers and has exhibited many times. Growing up in Perth, Western Australia Brett developed a fascination for far-away places. Which is lucky because from Perth, pretty much everywhere is far-away. 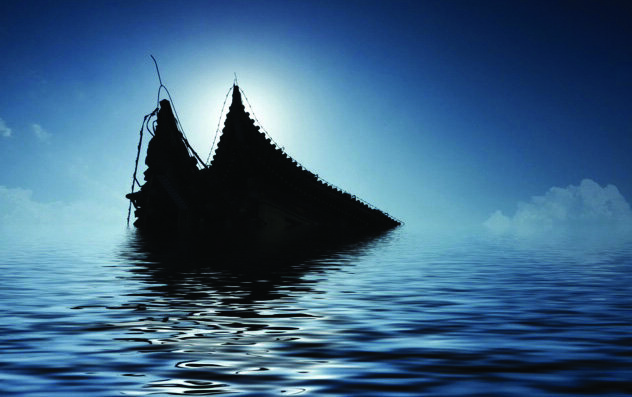 He also has a life-long passion for the ocean, starting from childhood adventures in small boats through a stint in the navy when a big steel ship was his home for some years. In his travels Brett has encountered some of the most amazing landscapes, scenery and wildlife. Some were familiar and some so utterly different to what he was used to at home in Western Australia. Brett has always believed in the mantra ‘Take only photos and leave only footprints’ and has become fascinated with capturing images of wildlife and scenery that are completely undisturbed by his having been there. Brett’s interest in travel has now led him to live and work in Malaysia, a place where he feels extremely grateful to be welcomed. He continues to travel around the world continue and is very pleased to be able to share some images of past travel, with the hope that the audience will look forward to seeing images of his future adventures. 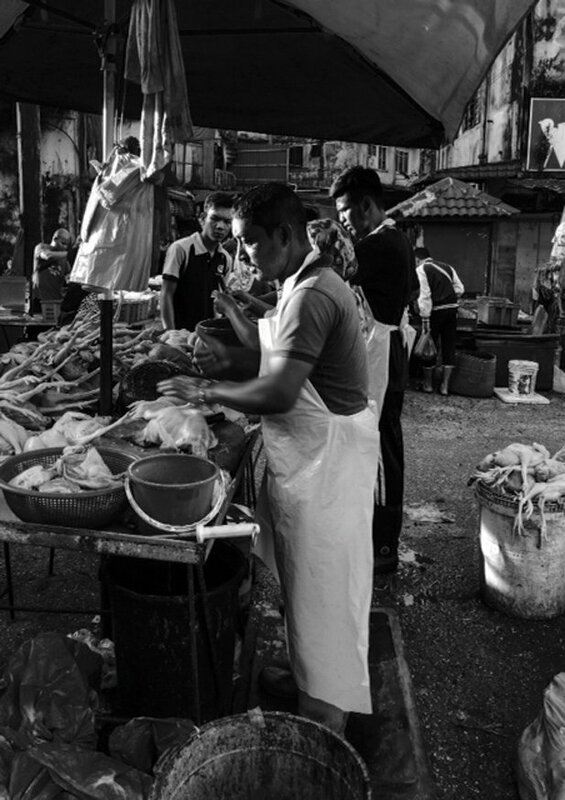 Fai started photography 1994 in Malaysia, and he enjoys taking photographs across a number of genres, from landscape to portraits. For him, the most important thing is that his audience enjoys the photos. His first exhibition was held in 2015 at Waijia Restaurant in Sekinchan, Selangor, with his second exhibition two years later in 2017 also held in the same town. Fai’s favourite place to shoot is in Sekinchan and he he has spent almost every weekend there since 2012. In particular he enjoys shooting sunsets and sunrises in these areas, an endeavor that requires a great deal of patience and waiting for the right moment. Acknowledgement of his works was mentioned in the Sin Chew newspaper back in 2016. Our first day is over …we had a great crowd…and it’s the crowds enthusiasm and loads of positive feedback that adds to the day. Special thanks to mrs Loh and partner Jamel for making this a success. Hopefully we also contributed to the future of photography.